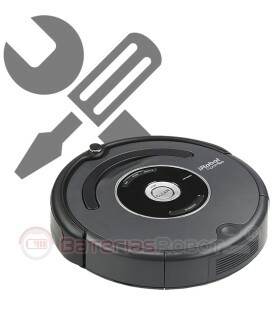 At BateriasRobot.com we offer a service with extensive experience in repairs of Roomba iRobot. We repair any damage and offer 6 months parts and labour warranty. We have all kinds of original spare parts and own brand compatible. Before the repair, we do budgets without commitment. You decide if you consider your Roomba. How does the technical service on-line? For the service you must buy it as if it were any other product. This are hiring the service of collection and delivery, as well as the diagnosis of the fault and the preparation of a budget. At the time of purchase, you must detail precisely what happens to your robot, the general condition and add-ins that send us. Once we receive your purchase in our systems, we sent to our carrier to bring us your Roomba and we can examine it. In a few hours, we will draft a detailed budget that we will send to you by mail. At that time you can decide whether or not you consider your Roomba. If you accept the budget, in this same e-mail we will send you instructions that you proceed to the payment. In that I receive the payment, we will proceed to repair your robot in the shortest possible time. Usually in 24/48 hours after receiving payment confirmation. If you don't want to repair it, you can indicate this by answering the same e-mail. We shall proceed to give back your Roomba without additional charge. Once we've repaired and tested, we will send back your robot. The service will have a 6 months parts and labour warranty. The warranty will only cover those abnormalities previously treated by us and not any new problems that may arise. If you decide not to repair your Roomba, we will return it yourself without having to pay anything more. And if it is not repairable, or I do not accept the budget? It is very rare that your Roomba has no solution. However, if the robot already has a few years, there are some faults that are not worth repairing. Therefore it is very important that we properly describing the problem of your Robot and its general condition. If we consider that it is not worth repair it, we will contact with you so that you decide. Given the case, if you decide to not repair it before pick up the robot, you refund the money. If after doing the budget, you do not want to repair it, you return your Roomba without having to pay anything more. When you make the purchase of a technical service of Roomba repair the system will ask for your address. Once we have finished the service, we will return you to the same address we provided. If possible, take out the battery of the robot and put it inside a plastic bag, protected and in the same package of the robot. Before placing your Roomba in the box, you must protect it with bubble plastic or any similar material so you don't shred it. If you send the charging base or other spare parts spare parts, indicate it in the relevant section and package them unless they hit each other. Wrap them individually with bubble paper or something similar. Then, put it in a box that fit well, which is not loose and that is well protected. If you keep the original box and going to use for shipping, wrap the Roomba in a garbage bag before placing it in the box to avoid scratching it with cartons. If you send your Roomba in the original box, it is recommended that you envuelvas it and protect. How do I pay the Roomba repair technical service? Fixed amount which is payable in advance on the purchase of the service through this website. Includes diagnosis, drafting a budget to solve the fault, your Roomba collection and the subsequent delivery once it is repaired. You only have to pay it if you accept the budget. It corresponds to the parts and labor are required. When we diagnostiquemos the robot, we will send you by email the budget and then you decide if you agree or not to repair. In this same message we have included instructions with a Link for you to pay the amount of the repair (if you accept it). If you finally accept the repair estimate, the only means of supported payment will be by credit card through our secure (Virtual POS) payment gateway offered by Banco Sabadell. While you make the purchase of the technical Roomba repair service, you can add to cart the products you want. Our transportation agency is of utmost confidence and it is very rare that you lose or spoil a package, but certainly the possibility, although remote, is there. We have contracted an insurance covering loss or damage to the goods. 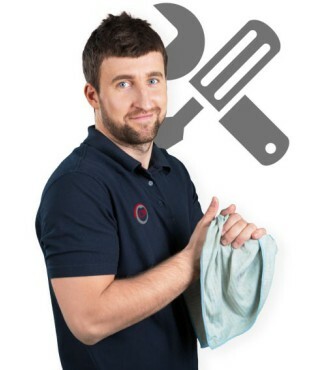 At BateriasRobot.com we offer different services of cleaning and professional maintenance will improve the performance and the great of your Roomba. 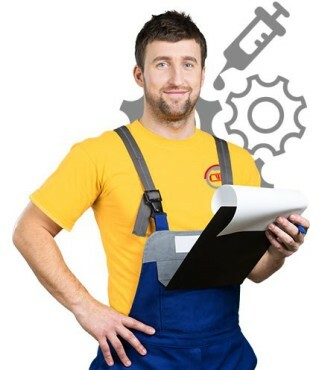 This maintenance is in addition to that you must perform on a daily basis and those aspects that require specific tools and technical knowledge in depth.